The most up-to-date bitcoin exchange rate based on your nation’s currency, according to bitcoinaverage.com, is always found to the top right here at spendbitcoins.com. It is important to note, however that there is no one recognised exchange rate for bitcoins. Bitcoinaverage.com simply gives a weighted average of the current trading price of bitcoin of all major exchanges worldwide. The exact value of bitcoin for you will depend upon what you plan to do. For example, if you are buying or selling bitcoins, then the exchange rate will depend on where you are buying from as well as the amount of commission charged by the exchange you are using. 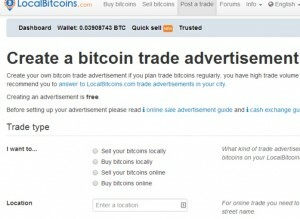 You can actually set your own rate for buying or selling bitcoin by posting a trade at localbitcoins.com. See our review here. On the other hand, if you are looking to spend bitcoins, the exchange rate will be set by the merchant who accepts bitcoins. They will generally either display their prices in bitcoins or show their current bitcoin exchange rate either on their homepage or the checkout page where bitcoin is a payment option. The important thing to keep in mind here is that the rate as posted by bitcoinaverage.com is only an average. Rates are set by each individual exchange or merchant.